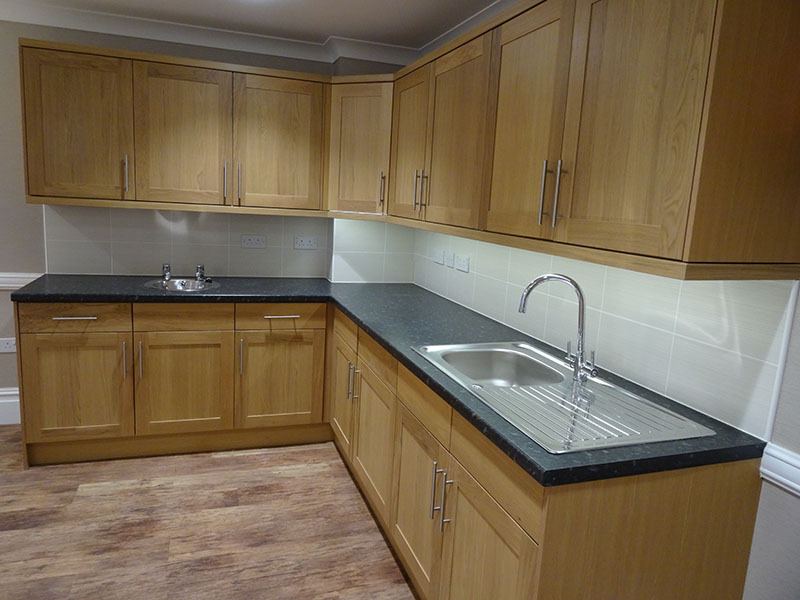 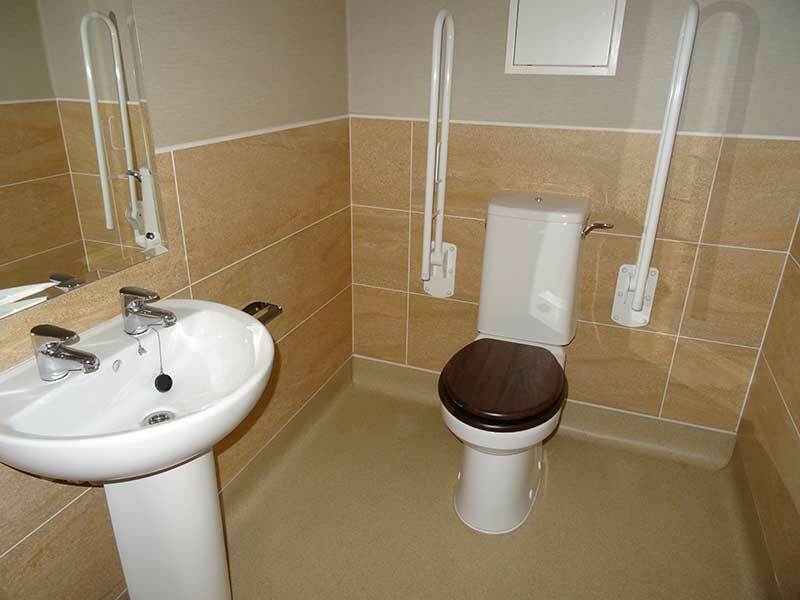 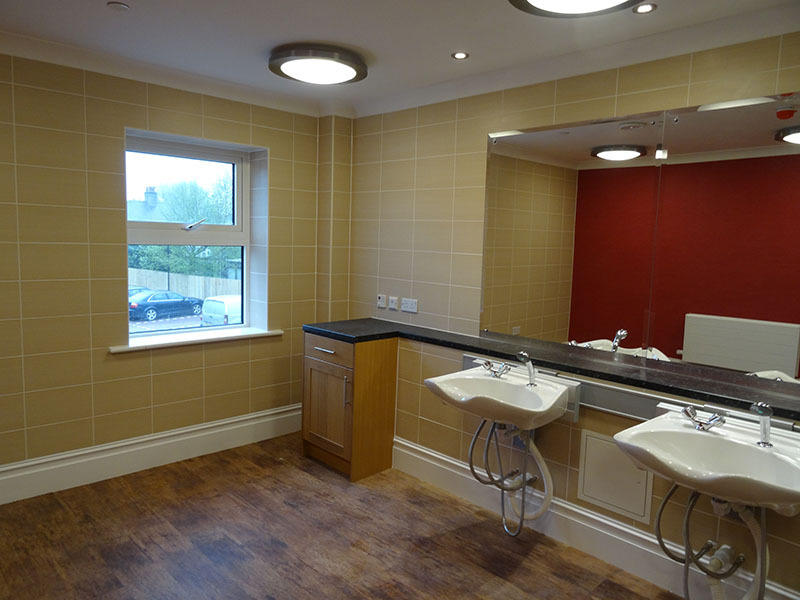 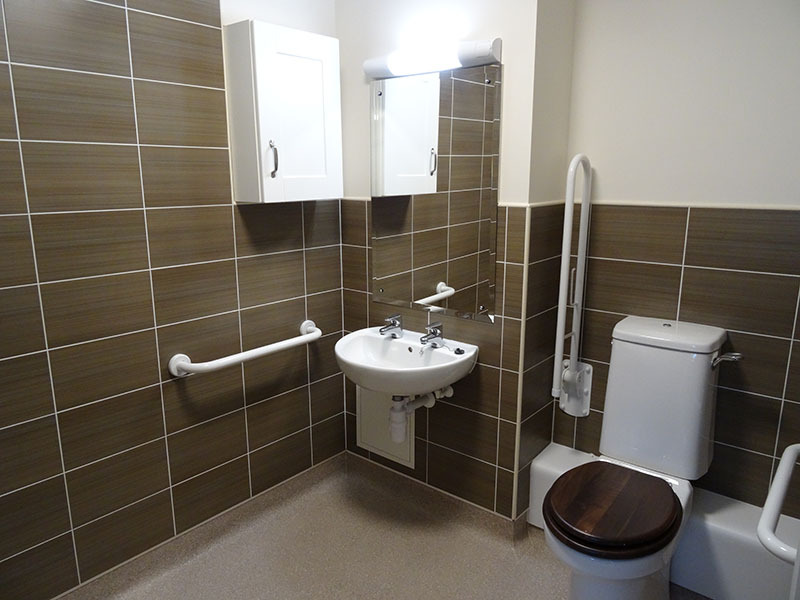 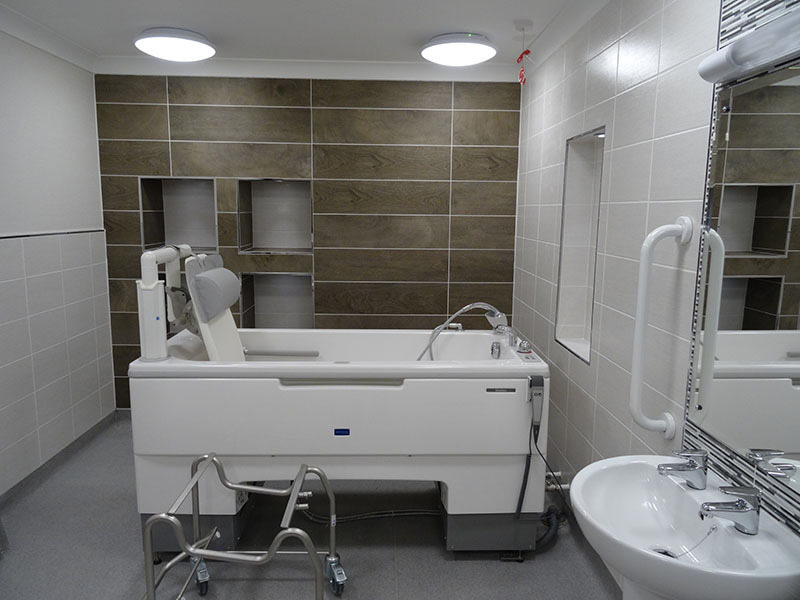 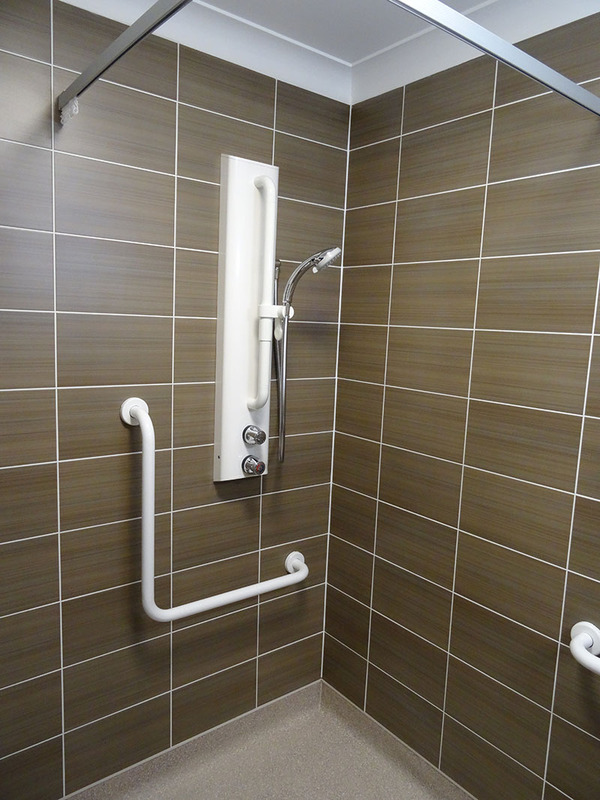 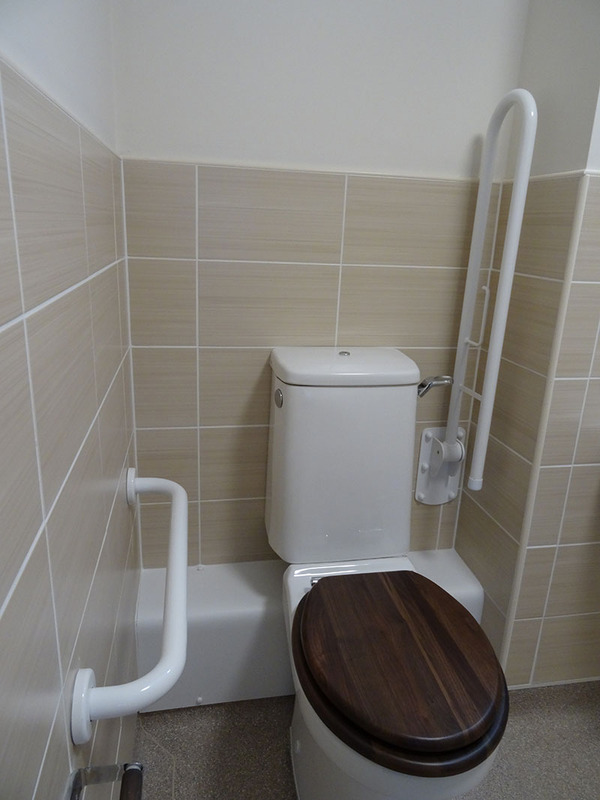 Great Northern Tiling were very pleased to be involved in this new 75 bed care home at Buxton. 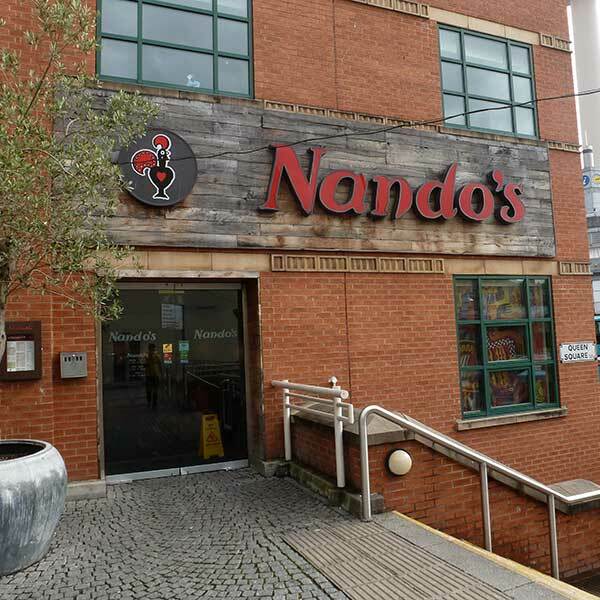 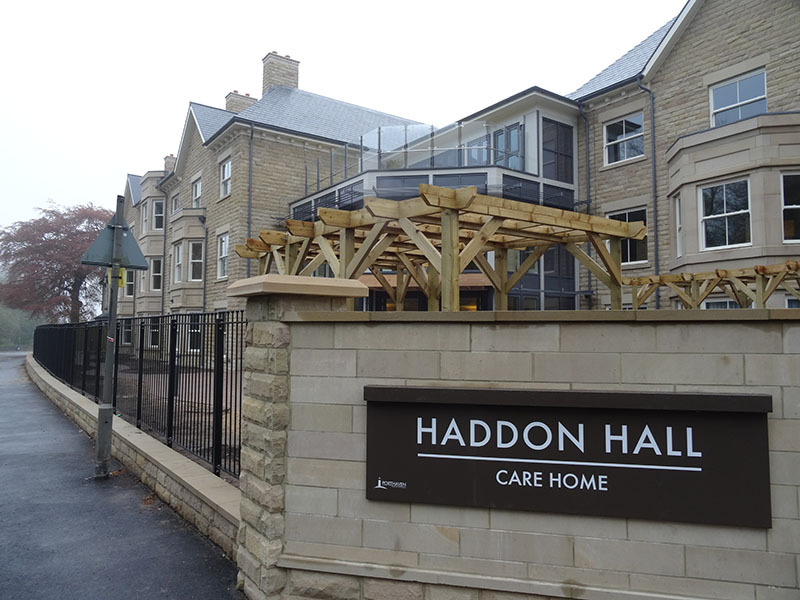 The proposals to redevelop the site of the former Haddon Hall Hotel created 72 full-time posts and eight part-time jobs. 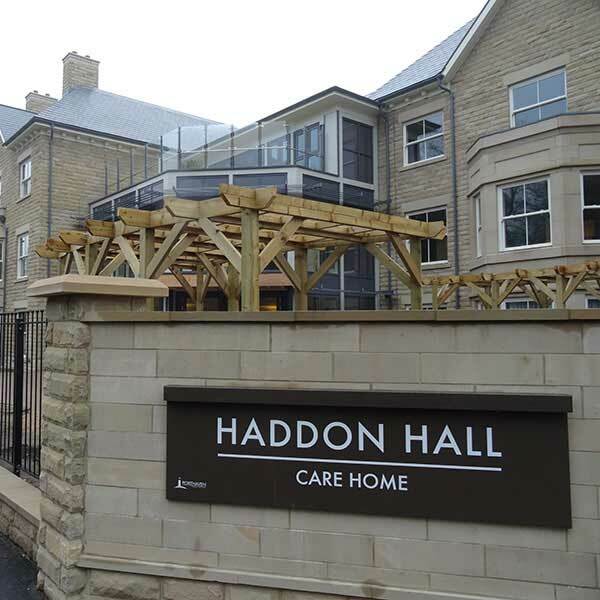 All residents of Haddon Hall will enjoy extensive amenities as well as the most generous private en-suite bedrooms and living space of all care homes in, and around, Buxton and the surrounding Peak District. 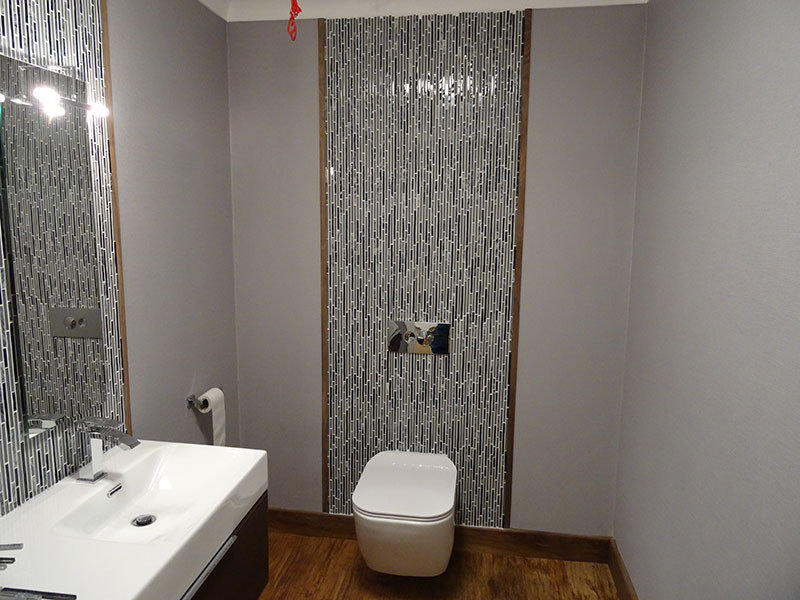 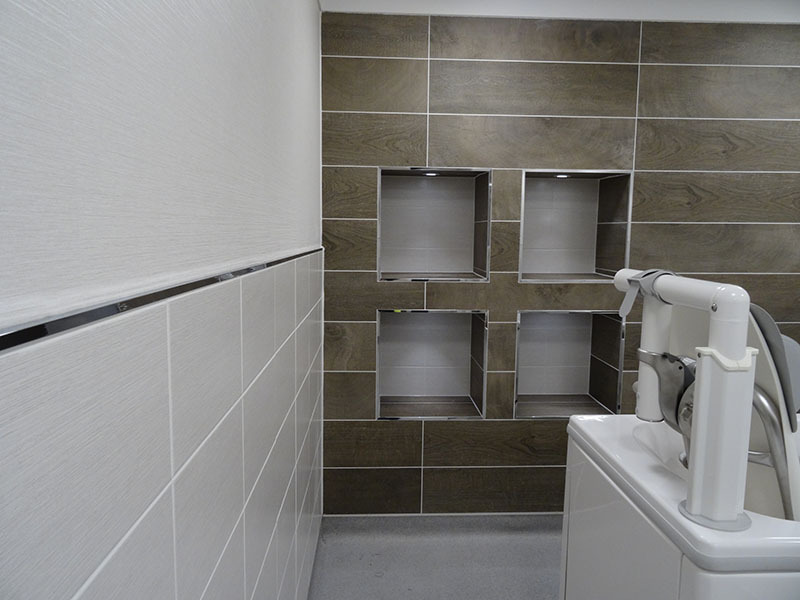 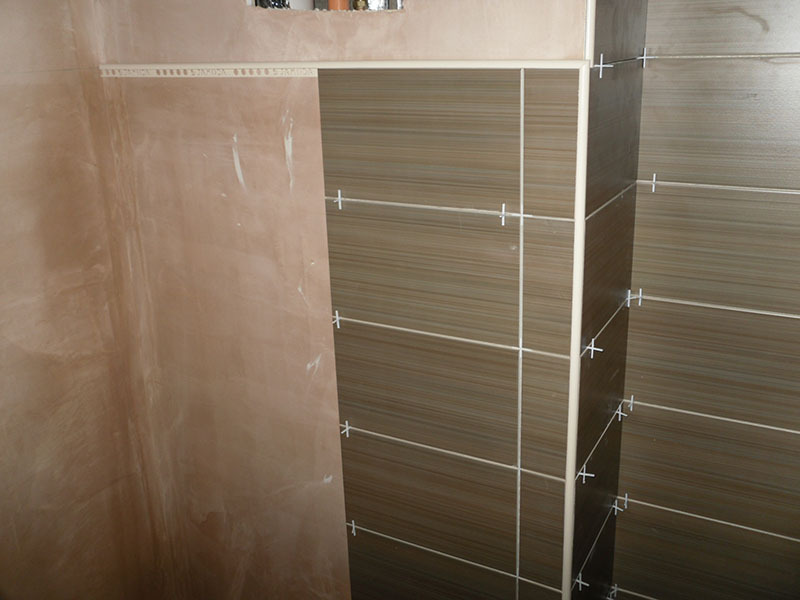 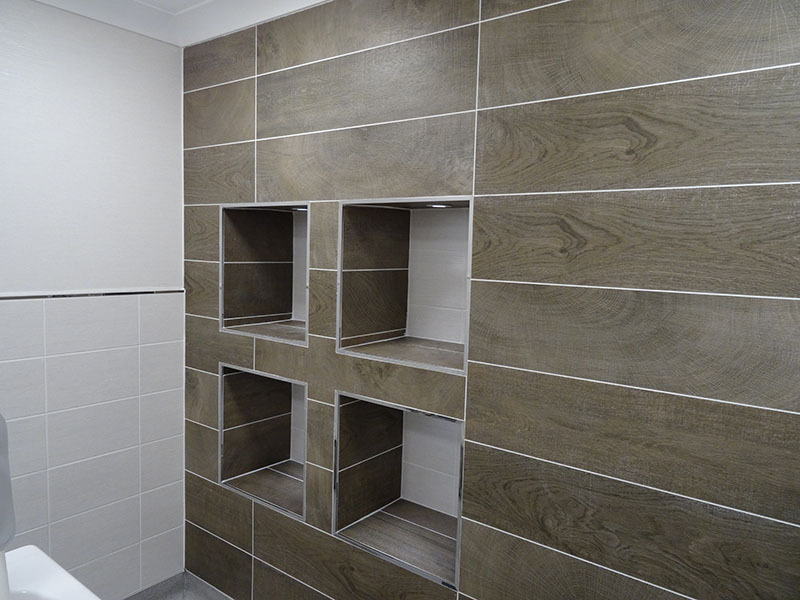 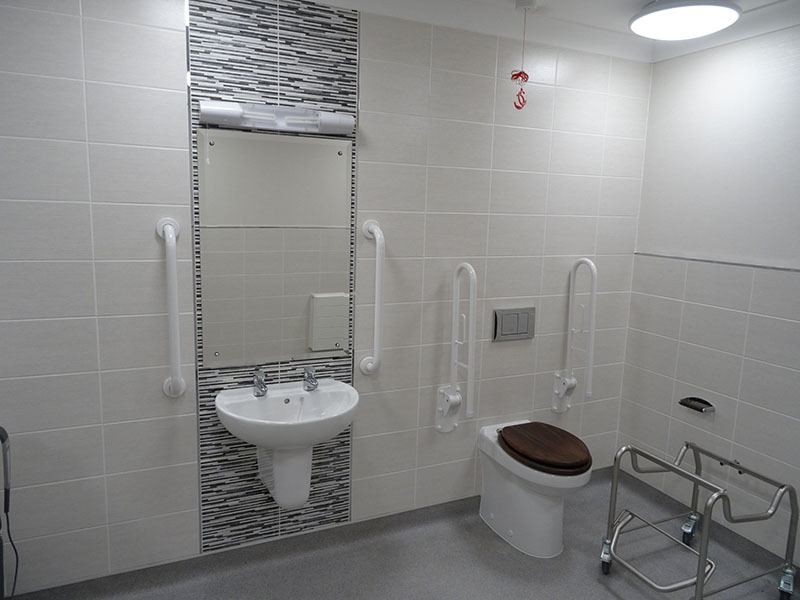 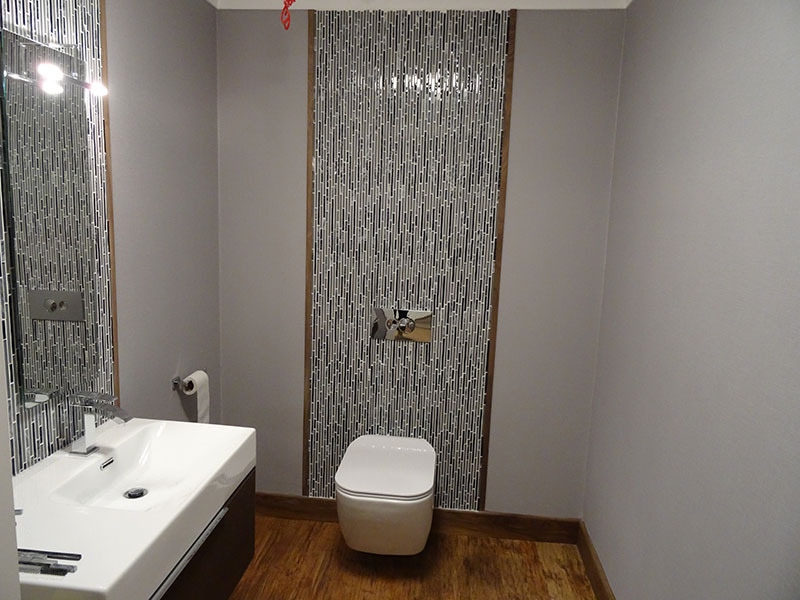 Technical ability was required when tiling the recessed walls in the assisted bathroom areas which required accurate mitering of metal trim. 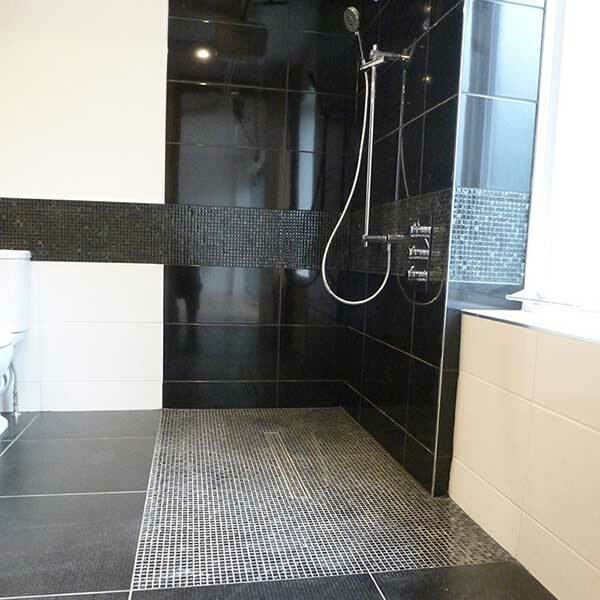 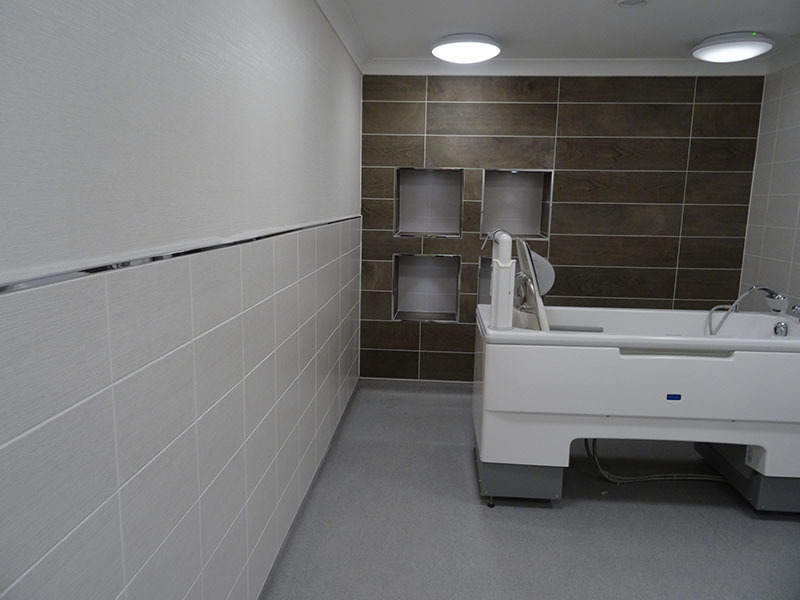 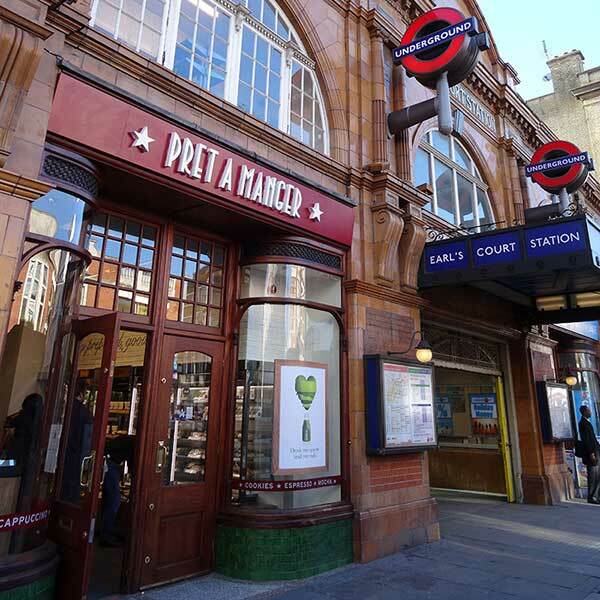 Also tile choices ranging from mosaics to 1200×300 sized tiles ensured that tiler of a high calibre were required on this project. 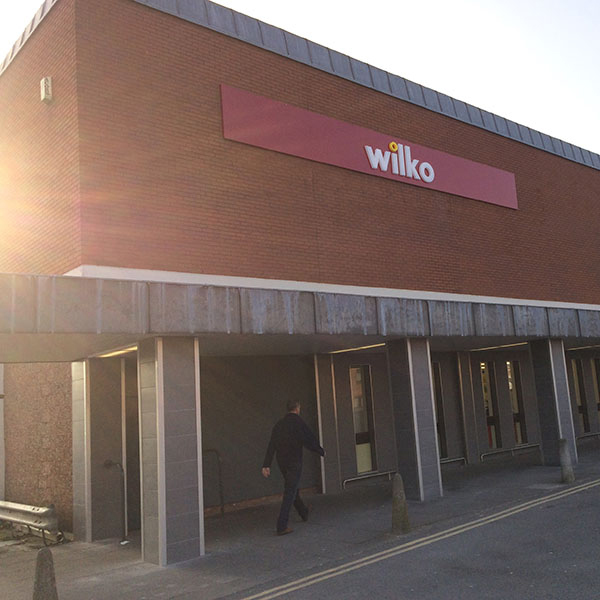 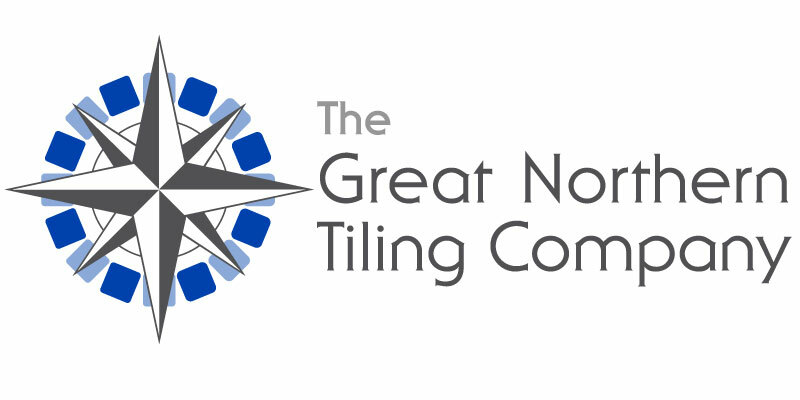 GNTC selected as finalists for prestigious 2014 national tiling award!